3 Bedroom Detached House For Sale in Leicester for Fixed Price £250,000. 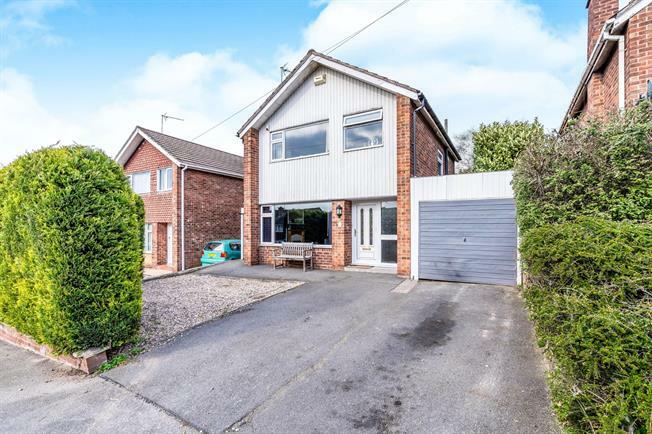 This three bedroom detached family home is offered for sale in excellent decorative condition having been significantly improved by the current owners. The accommodation itself has been carefully designed with modern day family life very much in mind. The ground floor has been made completely open plan with a contemporary fitted kitchen complete with integral hob and oven and solid timber work surfaces with an island in the dining area that both provides a space for the family to sit around and eat as well as useful additional storage space. There is then a living room area with ample space for sofa and chairs. On the first floor are three bedrooms and family bathroom with a separate WC. Outside there is ample parking for at least two vehicles as well as direct access to the tandem carport/garage that runs down the side of the house. To the rear is a tiered and low maintenance garden enclosed by tall timber panel fencing. The garden is ideal for al fresco entertaining and has a paved patio seating area, timber decked seating sections and at the back of the garden a generous Summer house that although currently used as a workshop and additional storage does have light and power and therefore could become a gym, home office or play space if required.